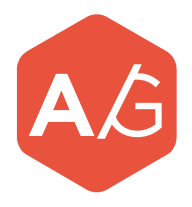 This website was created by AGPOGRAF S.A. for personal and free of charge informative use. The user of this website and of its services will use them according to the governing laws and business use, and will not use this website or its services to carry out illegal actions, will not execute actions that may damage the rights and interests of third parties or actions that may damage, void, overcharge or deteriorate this website and its services, and will not hinder the normal usage of the website and of its services for other users. Those that breach the aforementioned obligation shall answer to AGPOGRAF S.A and to third parties for any damages that may have been caused as a consequence of the failure to fulfil their obligations. AGPOGRAF S.A. does not guarantee the absence of errors in the website access or in its content. Whenever official publications are quoted or reproduced, such reproductions will be informative and their publication in an official gazette will be considered valid for any effects required. AGPOGRAF S.A. reserves its right to amend and modify the information in the website, its configuration or display whenever it deems necessary and without the need for prior notice. AGPOGRAF S.A. does not guarantee the availability or continuity of the website or of its services. Users will be notified in advance of any interruptions to the website or to its services, whenever it is reasonably possible. AGPOGRAF S.A. shall not be liable for any damages of any nature that may arise due to the unavailability or lack of continuity of the website or its services, for the fraudulent activities that the users may have with the website or its services, for the failures of the website or its services, and particularly but not exclusively, for the access failure in the different websites or in those websites where the services are being carried out. The user knows and accepts that the use of this website, its services and contents is executed under their sole and exclusive responsibility. The access to the website and the use of the information contained in it is of the sole and exclusive responsibility of the user. AGPOGRAF S.A. shall not answer for any consequences or damages that may arise due to the access or use of information, or to the use made to support any opinion, personal or business decision. AGPOGRAF S.A. shall not be liable for the information contained in the external links to other websites provided in this website, nor for the connection to those external links. The Intellectual Property rights of the website and of its different contents are property of AGPOGRAF S.A. It is strictly forbidden to make any alteration to this website. AGPOGRAF S.A. shall not be liable for any unauthorized changes or alterations. AGPOGRAF S.A. does not transfer any licence or authorization of use of any type on its intellectual and industrial property rights, or on any other property or right related to the website, its services or its contents. It is strictly forbidden to reproduce, either totally or partially, any of the website’s contents without citing its origin or without express authorization to reproduce them. The unauthorized use of the information contained in this website, as well as the damages caused to AGPOGRAF S.A.’s intellectual and industrial property rights, will allow the exercise of the corresponding actions and of the liabilities derived from such exercise. For the cases when, in order to access any of the websites or services of AGPOGRAF S.A., the collection of personal data is necessary, such data will be treated according to what is established in the current regulations related to the Protection of Personal Data and other development regulations, in accordance with the provisions in the PRIVACY NOTICE OF THIS WEBSITE and with the consent given by users before starting any kind of communication with AGPOGRAF S.A. or other businesses or companies of this group, either investees or associates of this website. The use of this website is governed by Spanish laws, regardless of the legal environment of the user. Any dispute that may arise in the interpretation of these conditions will be solved in the courts at the location where AGPOGRAF S.A. is domiciled. If the user provides us with their email address, it is therefore understood that they are giving their consent and accepting this LEGAL NOTICE and the PRIVACY NOTICE. The email address may be used to send notifications related to the services offered, to give or answer enquiries and requests by AGPOGRAF S.A. or by other companies of this group, either investees or associates. Book 34492, sheet 190, page B 11083, Commercial Registry of Barcelona. All communication with AGPOGRAF S.A. via any means, or via an email address from the form in this website or to the company’s email, implies the express consent of the sender for their personal data as a client/supplier/contact, pursuant to chapter II, section 5 and 6, to be included in AGPOGRAF S.A.’s files or in the files of the companies of this group, either investees or associates, duly registered at the Spanish Agency of Data Protection. The personal data provided via email or via this website will be treated according to the Regulation (EU) 2016/679 of the European Parliament and of the Council of 27 April, 2016, on the protection of natural persons with regard to the processing of personal data and on the free movement of such data, and repealing Directive 95/46/EC (General Data Protection Regulation). By these means you authorize and give your consent for your data as client/supplier/contact to be collected and treated pursuant to chapter II, sections 5 and 6 of the aforementioned regulation, in order to provide the services requested to our company, and as required by a legal business relationship. Your data will not be transferred to third parties, except to those related to our company and strictly only for fiscal, commercial and labour purposes. Your data will be included in a file of our property and will be duly registered at the Spanish Agency of Data Protection. Therefore, you may exercise your right to Transparency (section 12), Information (sections 13 and 14), Access (section 15), Rectification (section 16), Deletion or Right to be forgotten (section 17), Limitation of treatment (section 18), Data Portability (section 20) and Opposition (section 21). Cookies are data about a website user that are stored in the user’s computer and that can be accessed when the user returns to such website. There are two types of cookies: “session cookies” and “permanent cookies”. Session cookies are only stored in the memory and are therefore deleted once the browser is closed. Permanent cookies, on the other hand, stay in the computer. You can register for free. With your user and password you will be able to use the services offered by this website in a personalized way. Upon registering, you authorize us to collect your data (personal information and optional information) to provide specific services and improve your experience in this website. We may use the information you have given to us to send you offers that you may be interested in, by email or by postal mail. In each of those mails there is information about how to cancel your subscription and stop receiving our mails in the future. Sometimes we will send you notifications via email or postal mail to give you information that may be of your interest, including information about new products and services. We may also contact you to see if you are interested in participating in a market study related to your activity. As part of our policy, we only send emails and postal mail to the clients that authorized it. In each of those mails there is information about how to cancel your subscription and stop receiving our mails in the future.